Hands On Bread Class: All Hands On - Sign Up NOW! 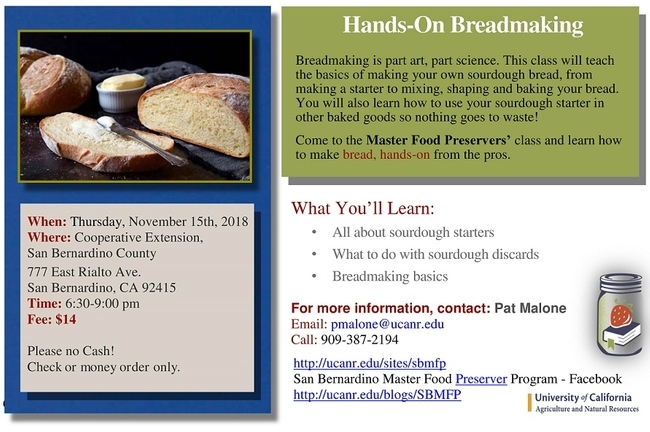 Next month, learn to bake sourdough bread! Work hands-on with the dough--for not very much dough! A great class is coming up quickly so sign up today! I would like to sign up for this class. How do I do this? To do this please call the number in the flyer above. Thank you!